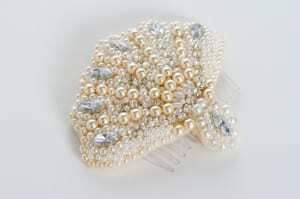 When a hat or fascinator is a little too much then there are always a wide selections of clips, combs and slides. Easy to wear and striking to behold .Fun and funky and full of pizzazz! 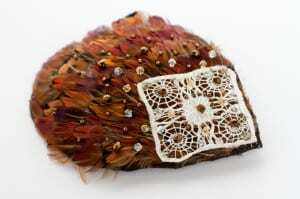 Below are a few of N.Joy.Millinery’s favourite pieces. Beautiful vintage Royal blue feather spray with hand embroidered beaded lace diamante glass beads and Swarovski crystals! 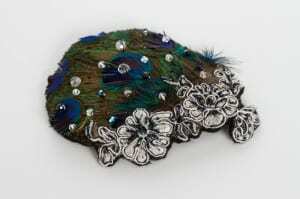 Attached to a clip can be worn as a broach or fascinator the choice is yours! A colourful peacock feather fascinator. With vintage lace detail with black stitching and glass beading. Attached on a comb. A mini show stopper. 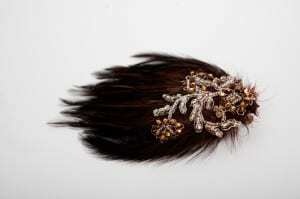 A spray of dark chocolate feathers, embroidered with coffee coloured lace with silver cord. 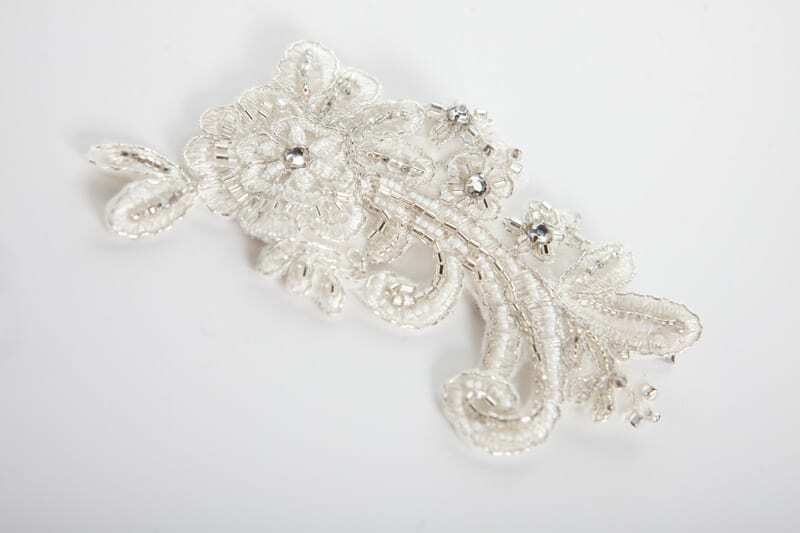 Embroidered with stunning gold and bronze glass beads. A glittering piece of headwear for that sophisticated lady. 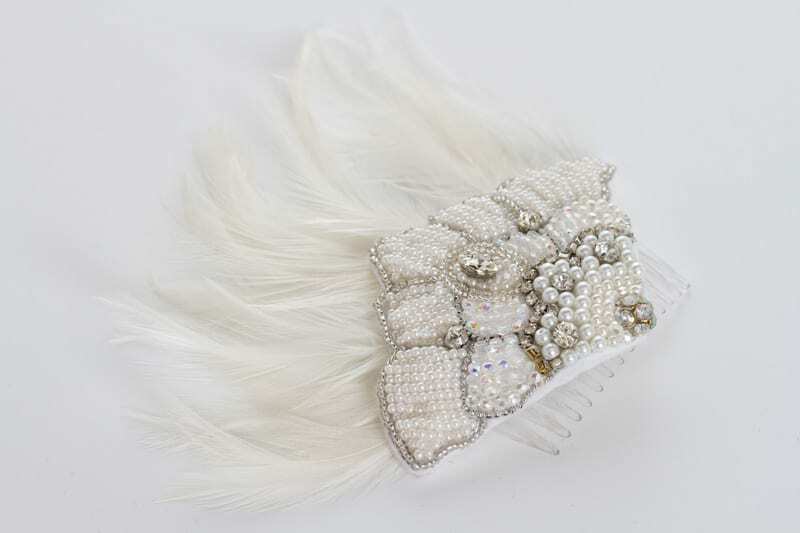 An elegant Great Gatsby inspired fan comb. 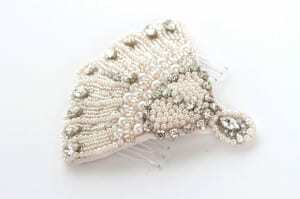 Hand beaded, with white pearl imitations, silver glass beads and diamante. 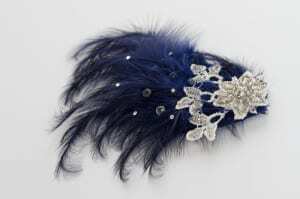 With a spray of curled white feathers. A Stunning 1920′s piece perfect for a bridal headpiece or for a glamorous night out! 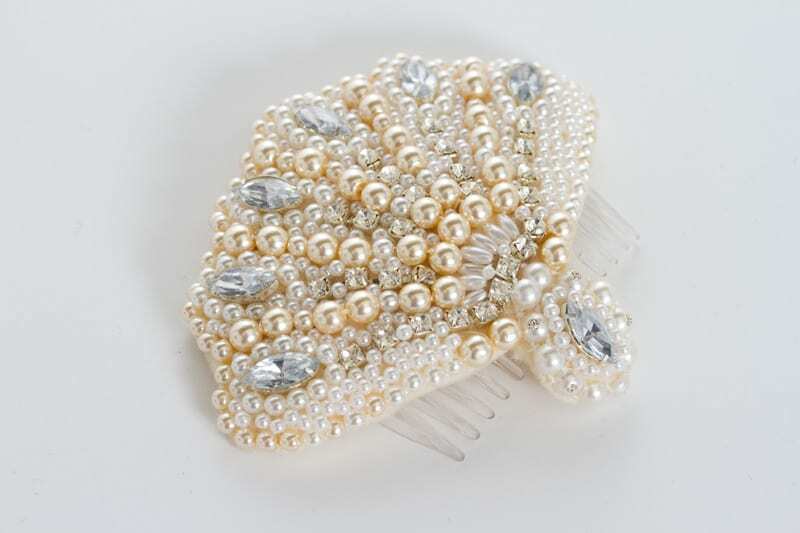 This beautiful clam shell styled comb is covered in an array of imitation pearls, In shades of gold, white and Ivory. Encircling sparkling diamante. It looks stunning in a classic up do, or placed in loose curls. 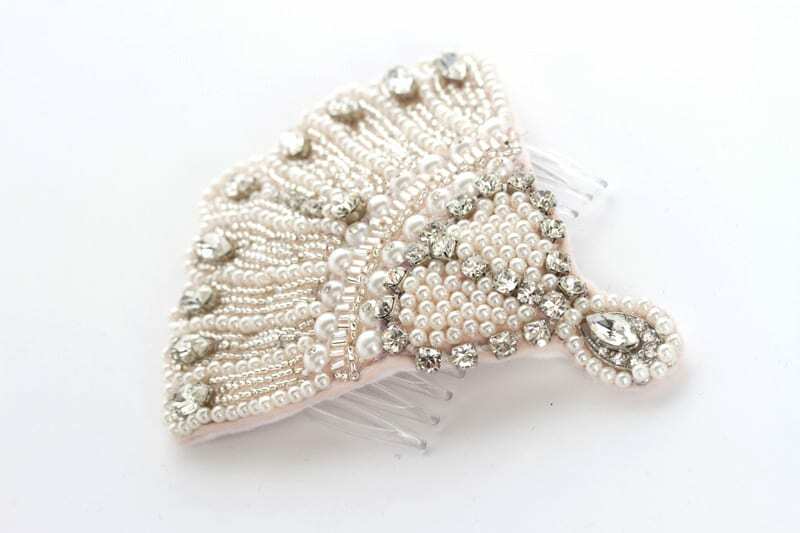 This stunning little fan comb is all hand beaded using imitation pearls, glass beading and diamante to create a 1920 style, perfect for any art deco bride. 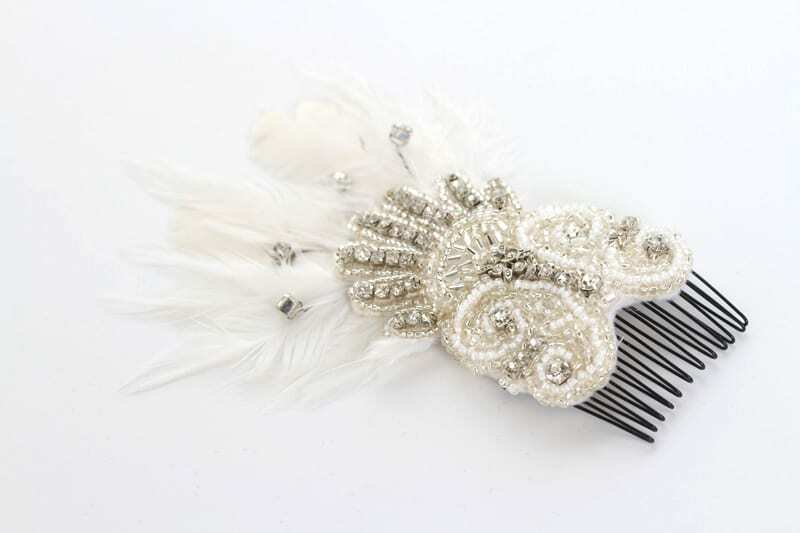 This little comb has a 1920 feel to it. 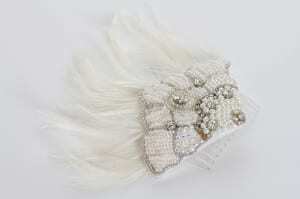 With heavily beaded lace white feathers and diamante the perfect accessory for any deco bride. 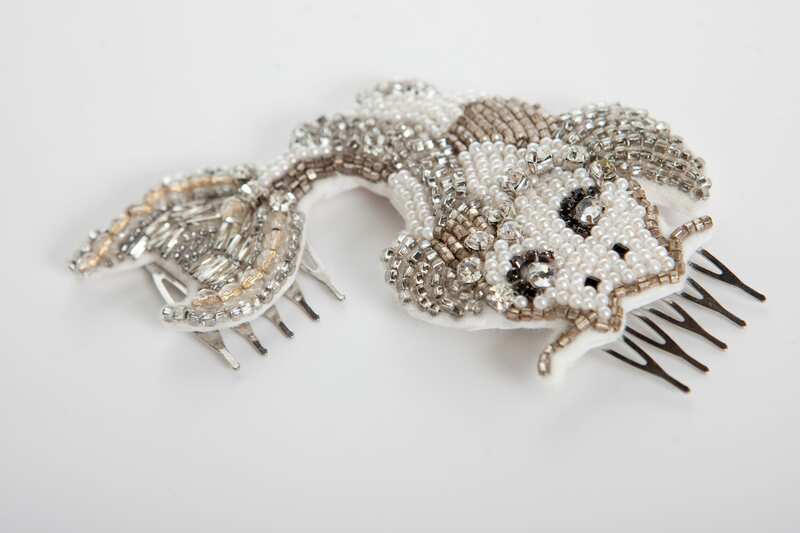 This stunning coy carp hair comb is intricately embroidered with glass beads in gold, silver and cream with diamante that glistens like real fish scales. Attached on two combs that slides easily into your hair.